CHRISTINE POULSON » Feeling low? How about a nice murder? 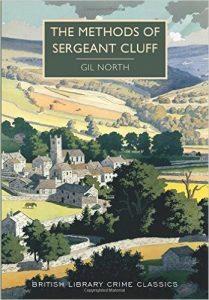 Cluff has been on my radar but don’t believe I have read any – but it does sound just the thing to read on a cold winter’s afternoon! I think there might have been a TV series in the 1960s…? Yes, it was. And incidentally, having mentioned Room at the Top, I got it off the shelf and flicked through it. I thought of you, because what people are wearing is important. Have you read it?